Best Of Class GPS Tracker! The PT-10 GPS Tracker uses both GPS and GLONASS for satellite position acquisition. GLONASS is Russia's version of GPS, by combining both systems into one device, we are seeing satellite counts that we've never seen before! 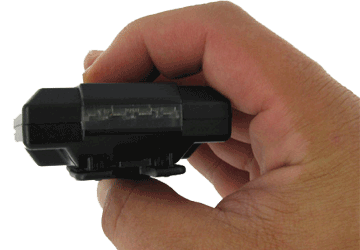 This means that the PT-10 GPS tracker is even more accurate and reliable than ever before. There are other technical enhancements too, with the addition of an accelerometer and upgraded components including 3G connectivity. The PT-10 is a proven, easy to use best of class GPS tracker. The PT-10 updates every 10 seconds when moving over 10 mph, and every 20' when under 10 mph. When not moving the PT-10 shuts down to conserve battery power. 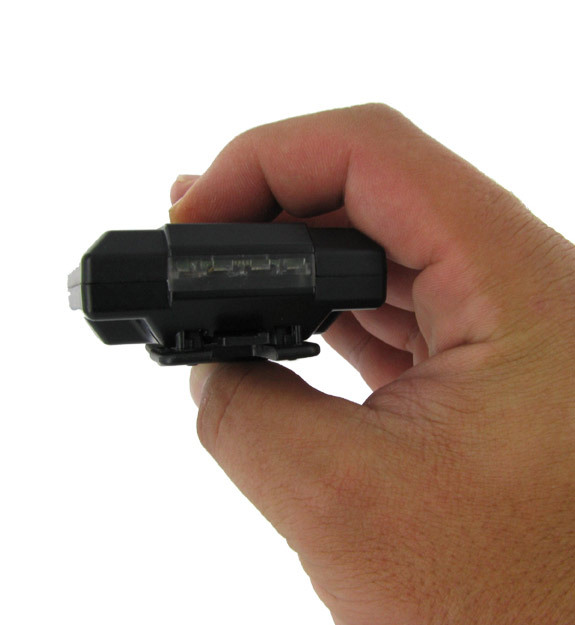 The standard version, comes with an internal rechargeable battery, that will last for 8 motion hours. This means if the PT-10 moves for an hour each day, you would need to recharge the battery in 8 days. 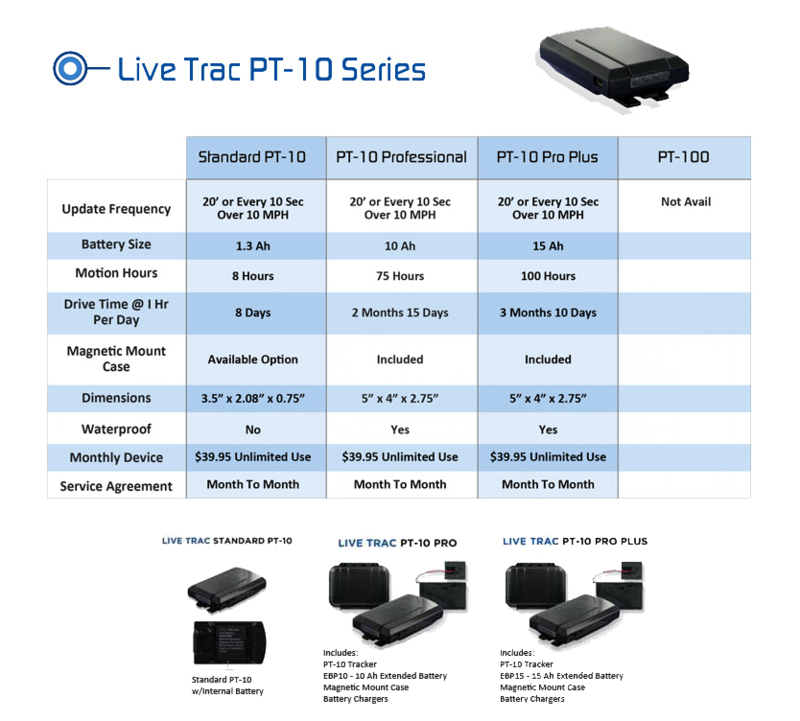 The Live Trac PT-10 GPS Tracker Is Simply Amazing! Whether it's for Professional or Personal use, we guarantee the PT-10 will get the job done. Reason #1: Super-fast updates are the next best thing to real time! 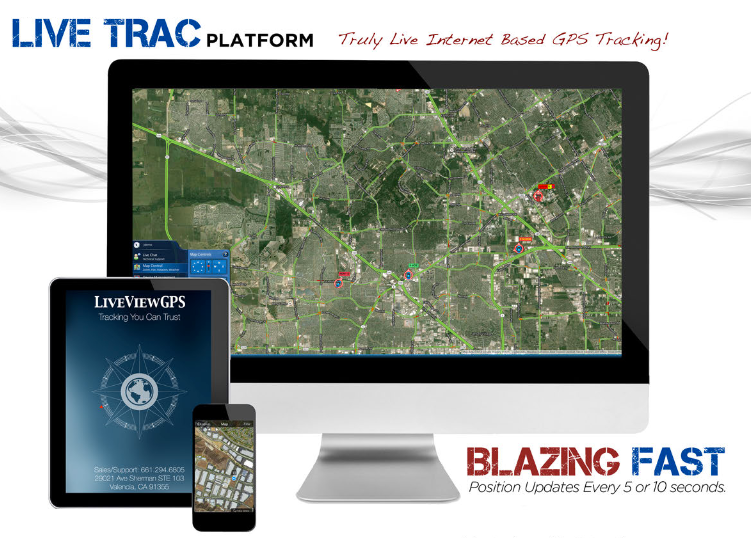 You will be blown away when you see how fast the Live Trac PT-10 GPS Tracker updates your information. Unlike other devices that update every few minutes, the PT-10 updates every 10 seconds when traveling over 10 mph - and every 20 feet when walking! 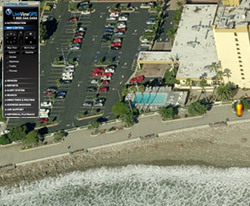 Access PT-10 tracking from any web enabled computer or smartphone. Watch at anytime - LIVE as the PT-10 moves right across your screen. 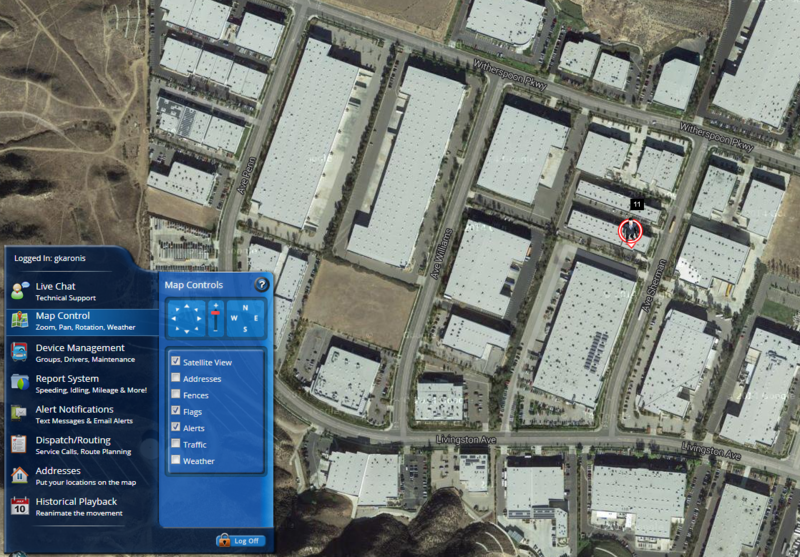 Change map views on the fly and even see a street view of where the PT-10 is located. The PT-10 only powers on when it has been moved over 20 feet or travels more than 10 miles per hour, so there's no needless wasting of its battery power. Even better, the PT-10 will give you up to 8 HOURS of operation under continuous motion! The PT-10 even turns itself off when it is not moving! Reason #4: The PT-10 is the most portable device of its kind! 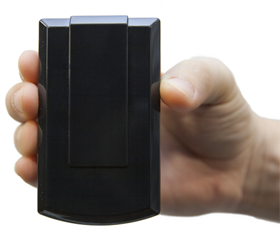 You can take the Live Trac PT-10 GPS Tracker anywhere you need to go! The device is 100% portable so it can move easily from car to car or person to person. There are no cumbersome wires anywhere on the device. This GPS is always ready when you are because it is totally re-chargeable. Simply plug the PT-10 into any computer and charge it with the included USB charging cable! No computer with USB, no problem. We also include a 120 VAC wall charger! Our web interface will even let you know how much battery life is remaining when you login online. Reason #6: It logs and stores all positions for easy playback. Need to know where the PT-10 has been without a shadow of a doubt? Good news - the device stores and records all position points, so at anytime, you can login and watch a HISTORICAL ROUTE PLAYBACK of everywhere the PT-10 has been! The PT-10 will notify you immediately via email or SMS text message when the device enters or exits areas that you designate on the interface map. It can even tell you if the PT-10 exceeds the speed thresholds you set - helping you monitor the driving of your teen-age children. Want to know when the PT-10 is on the move? Simply set a speed threshold of 3 mph, and it will notify you when things start rolling. You set the parameters and the PT-10 does the rest! Reason #8: The PT-10 is easier to use than a cell phone! There are no buttons to press, no switches to set incorrectly...simply charge the PT-10 and let it do its thing. There's no software no install because the PT-10 is configured to work right out of the box. It's that simple! Reason #9: Low Monthly Subscription - NO CONTRACTS! The PT-10 has one service level: UNLIMITED USE for only $39.95 per month! Subscriptions are month to month and we'll never lock you into any long term contracts! This web based tracking system is EASY to use. It's extremely intuitive and user friendly. More importantly, it will work right out of the box, as we advertise it to. Also know, that support is only a chat, email, or phone call away. Our PT works and it works well, don't make the mistake of throwing your hard earned money away on a cheaper tracker that you'll never get to work! The best service and best devices on the market. Thank you very much for all you do. Product and software were top notch. Product was well made. Only thing i would change is make battery life longer Was really impressed with the job it did. We have used another agency's Live View Units and had great results with ease of use, life of extended battery and how easy it was to utilize the software. I would recommend this product to any agency that utilizes GPS Units. This device is fantastic. The battery life far exceeds my expectations. The ability to set up the geofence make using the system very easy. I will definitely purchase additional units. Unit works as described only problem is we are in a rural area with limited cell service and unit loses signal constantly but works perfect around city and urban areas. Finally a device i can count on 5 stars in my book. I only rated your product as FAIR because we just received your product and have not used it yet. So far have not put the devices into full us. But from testing I like what I see. Customer friendly and easy to use! Have no problems with this product works very well. The software behind the product is top tier. The ability of the hardware to pinpoint your location in the trunk of a car is way beyond belief. My only concern with the product is that it seems to lose large amounts of energy within a short period of time. I asked product support about it and they seemed to suggest it was normal. They said that I should wait until fully discharged to recharge, however, the idea is to have enough juice in the battery to track the unit if stolen. I recharged and the battery held at 93% for several days and then dropped to 88%in 5 minutes time so,judgement is still out on that. I was very satisfied with tech support other than the battery issue.all this happened without the car moving over 5 Day period. January 4, 2018 by Ron E.
So far the trackers are working awesome! Watching them on my Iphone using the app has proven beneficial to our operations. Thank you....great product! November 16, 2017 by Wayne C.
November 15, 2017 by Karl R.
Very pleased with the product. simple and easy to set up and get started. Had considered other,cheaper trackers but the reviews were not so good and having used your tracker in the past I knew it was accurate and reliable. November 15, 2017 by Skip M.
August 21, 2017 by Scott W.
This is a very good product. There is no on/off switch for the GPS unit though. The battery will run down if you have it inside of your vehicle and not wanting to track anything. July 14, 2017 by Timothy S.
Great tool for keeping track of a vehicle. The only problem is I have to put login information in every time I use the software. July 6, 2017 by Brent D.
Works exactly like described and never a signal issue. May 29, 2017 by Coleman C.
I am using this unit to track a company vehicle in another state for now and later will move it back home to use in surrounding counties. Very comforting knowing where the unit is. The mobile access is a little less than greT but gets the job done until I can get to a computer. So at least 90% on the mobile access and 100% on the rest. July 15, 2016 by Mark C.
With the GPS devices that liveview sells I know where my trucks and crews are at all times. Before liveview I would have inflated hourly times and crew chiefs telling me they were at a job when they weren't. Now I know where my investments are. Fuel expenses have dropped because my employees can't take care of personal business on company time without me knowing about it. It's easy to see where they are! May 9, 2016 by Brett M.
I am very satisfied with this GPS tracker. I was a little bit skeptical about how this product would work but after deploying this in the field immediately after receiving it and I think I can give it a proper review. We currently use other GPS trackers in a law enforcement capacity and I can say this product is far superior in its capabilities. We have had it in the field for approximately 2 weeks now with the extended battery and it's still working. The web interface is absolutely amazing with the historical data and other options available. The iOS app could use some work but its certainly not a deal breaker. I would recommend this product to anyone looking for a well priced GPS tracker. 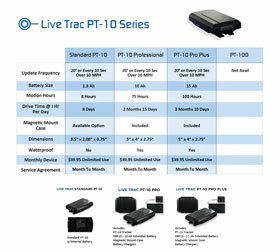 I have shown this to other professionals in the LE field and they have already made purchases to start using the PT-10. Very satisfied with the product. Could be a little more accurate but it still does the trick! March 27, 2016 by Anita B.
I've owned my PT-10 for a month now, and I must say it does everything it said it would!!! It was extremely easy to set up and place in the vehicle. I even place it in the back pocket of the passenger seat and the satellite picks it up just fine! I had to contact online help once because the units battery ran out while on a trip and I had no way to retrieve the unit to charge the battery until my child got back home. Once I got the unit and charged it, the map was still stuck where the battery died. I had to remove the back to remove the battery but broke the back trying to do so. And I used the small octagon driver that they suggested. But I still couldn't get the screw to come out. That has been the only problem with it. Once I reset it, it's worked perfectly since, I just have to tape the back on!! All in all, this is a perfect battery operated GPS unit. It lasts all week before having to charge it. March 21, 2016 by David S.
The original battery does not last long enough to be effective. I purchased a 90 hour battery and it is doing much better. Overall I am very pleased with the PT-10 performance as long as you have more than 20% battery life. I would recommend it to others. March 14, 2016 by Lore G.
Product does exactly what our company was looking for in a GPS tracking unit. 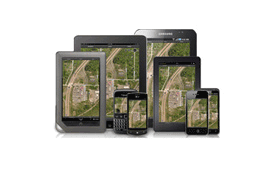 Much better than other GPS tracking devices we have used in the past! January 29, 2016 by James A. Best GPS Tracker I have used to date. The battery lasts forever and a day and the 10 second / 20 foot updates are outstanding. This is hands down the only GPS tracker I would suggest. An excellent piece of hardware backed up by a great interface. Well done! January 24, 2016 by Trisha S.
I love the product. I think reports could be a little more detailed. But love, love, love product. Gives me peace of mind. December 1, 2015 by Randal H.
We have used the PT-10 for years with great success. October 25, 2015 by Chris B. Very accurate. Easy to set up and use. Good battery life. Great customer support. September 16, 2015 by Gary S.
I'm a Private Investigator, and I have to have the right Intel. 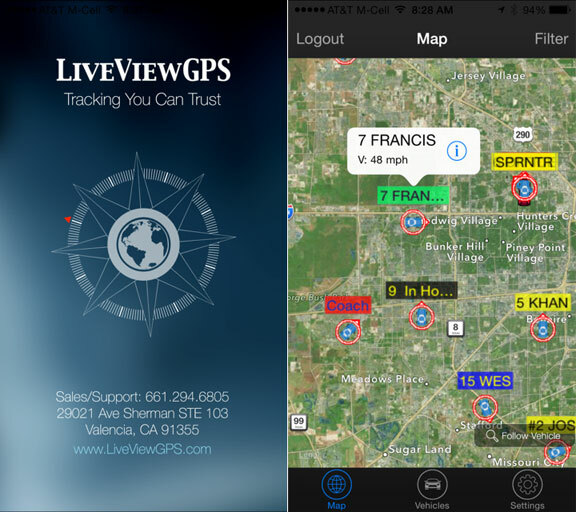 I've been with other companies that make empty promises, however LiveViewGPS is without question the best company I've been with. Sales, customer service & most of all TECH SUPPORT are always there when I need them. In closing, I can honestly say that there is not one negative issue that I've experienced with LiveViewGPS. 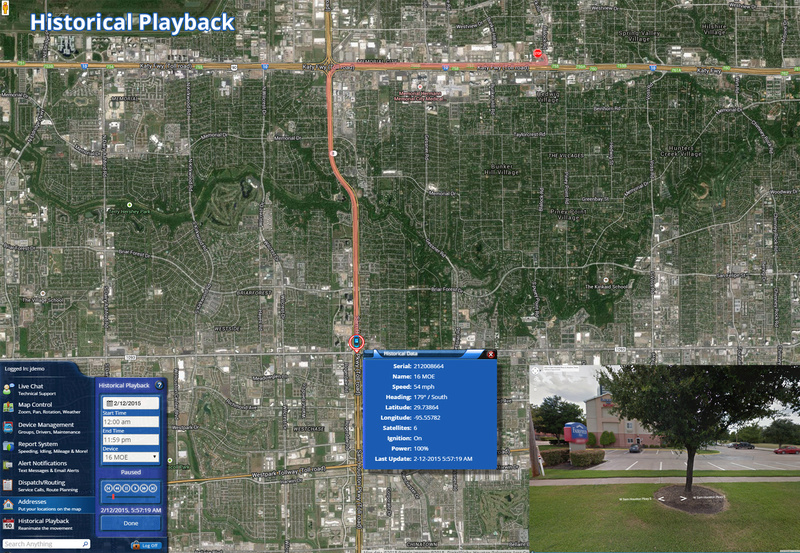 August 26, 2015 by Brad C.
Have used LiveView GPS for several years. Good products that meet my expectations. Customer service has been responsive and answered my questions in a timely fashion. August 1, 2015 by James B.
July 22, 2015 by Heidi B. Had a rough start getting it set up, needed tech support to assist. Since then it has been a great little tool. High recommend this unit to anyone. Was well worth the price and the setup. June 30, 2015 by Shawna B. Love it, it worked very well. Lots of things it can do. June 17, 2015 by Otavio T.
The PT-10 works well for our pedestrian workforce. 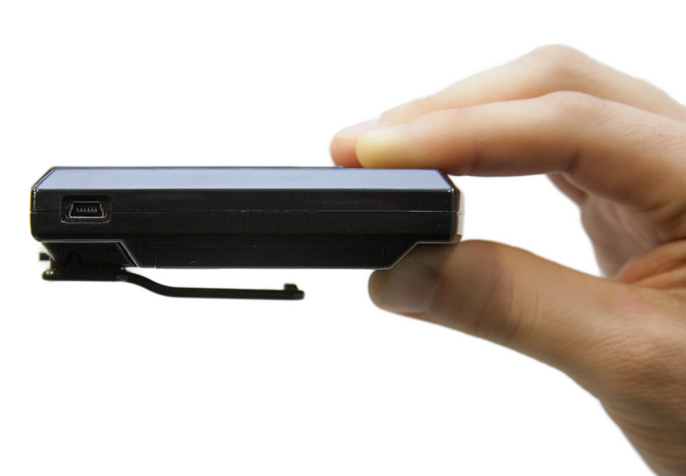 The device gives an accurate position, and conserves battery life by sensing movement. I especially like the start/stop reports, historical playback feature for each device, and the ability to draw geofences. Lastly, I appreciate that there is no on/off button on the device, thereby making it difficult for an employee to accidentally or intentionally turn it on/off. June 9, 2015 by Chris H.
This unit works very well and is very accurate where cell phone tower strength is good. June 8, 2015 by Robyn J. 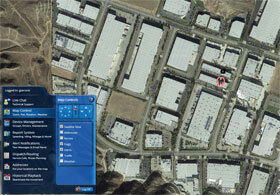 We chose the product for gps tracking in two teen cars. The product was received quickly and its plug and play so we didn't require special installation. we have had them for a year now and it is a perfect fit for our tracking needs. June 5, 2015 by Paul S.
We rely on this device and it works great. It has given us peace of mind for years now. Thank you. June 4, 2015 by Frank S.
June 4, 2015 by David P.
June 4, 2015 by Steven C.
We are very satisfied with the product and the support staff that are helpful and have a genuine concern for being customer focused. Our trucks & their crews have become much more productive and it's great to see them on the move. Thank you! June 4, 2015 by Dan K.
overall the product and website are excellent! The website is very user friendly, although we don't use much of it since we have the PT-10 unit, most of it doesn't apply to our application. Thanks for supplying a great product and service. June 4, 2015 by Carl B. Like the device very much...like how information can be accessed from any computer...like the report back feature allowing for review of driving and travel history...very user friendly map. June 3, 2015 by Gerald R.
I love the product however I feel the informational aspect of the printed/downloaded view could be presented easier for the purpose of court testimony. June 2, 2015 by Yevgeniy M.
works great, i was able to use it for various tasks with full success. only issue is the battery doesn't last as long as it used to. ( do you guys warranty your battery?) maybe we can exchange them and you can re-build it? June 1, 2015 by Dayne D.
Very good service from the staff. Product is awesome. June 1, 2015 by Tom B. Your product and service is one of the best I've seen and the company is very responsive to customer needs, to include even incorporating suggested enhancements for the app and web-site. Keep up the great work! June 1, 2015 by Shane R.
Great unit, I have 3. I've been using for 6 yrs. they are priceless w doing surveillance jobs and can legally be installed on vehicles. The units are well built, signal is great and tracking from cell phones just add to the usefulness. You cannot do surveillance without a Gps Tracker. It saves time, money and your bottom line. June 1, 2015 by Ron G.
I am the owner of Bay Area Investigations in Burlington, Ontario, Canada and have several Live Trac PT-10 units. 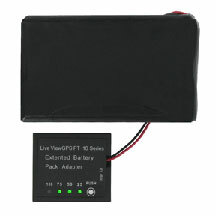 I recommend purchasing the extended battery or a combination of the batteries with the waterproof casing. The units perform as promised and are the best I have found on the market. The customer support is Excellent, timely & most accommodating. We use the units for mobile surveillance with our investigators monitoring the units in real time from their smart devices or our in house investigators offer support with updated monitoring or locations. No need to ride a bumper or worry about red lights. Historical review by date, stop/start reports and zone alerts all great support applications for our requirements. Ron Gooding President Bay Area Investigations Ltd.
Great device! Easy to install. Easy to Use. Would definitely recommend!! June 1, 2015 by Chris K.
The service is very good.....sometimes the history is not there e.g., look at something from a few days ago and half the day is not there, but by and large we are happy with your service...thanks. June 1, 2015 by Joseph J. Device is accurate, battery life good, easy to mount. My unit is 7-8 years old and working fine. August 3, 2012 by Jerremy L.
Works as advertised. Vehicle is exactly where it is shown on maps. Affordable and covert. I have used other devices but they were nowhere as good as this. Customer service is A-1. This thing is awesome, I got my unit yesterday and it works perfectly. I can see which parking spot my car is in. Incredible. June 27, 2009 by Tony K.
On June 18,2009, my mentally retarded daughter was dropped off by her school bus at the wrong site. My wife and I were both at work and had a neighbor waiting at our home bus stop to pick her up. When she didn't arrive, we received a phone call from our neighbor and that's when we started panicking. The school system couldn't reach the bus driver by radio (he had already clocked out and gone home) and we had no idea where our daughter was. After 1 hour 45 minutes they found out that he had dropped her by mistake at a school that was closed for the summer. She managed to somehow get into the building where she was alone in a totally dark room and then locked in by the janitor who didn't know she was there. She was finally found and everything is OK, but we went through HELL during that time not knowing where she was or if she was safe. I needed to make sure this never happened again, The next day I bought a Zoombak device at my local Target store. It worked just OK, but was unreliable and the zone reporting was useless because Zoombak only pings every 15 minutes. So she could arrive at school and go into a building in a couple minutes and it never knew she was there because she wasn't pinged in that short time. Today I tried the PT-10 (with 10 sec updating) alongside the Zoombak unit. There's no comparison. The PT-10 worked flawlessly giving me text messages seconds after she entered each zone I defined while the Zoombak missed all of them. We could literally watch her bus as it made its route to her school. AND...it was sensitive enough to "see" the locator in her backpack inside the school building. Totally blew away the Zoombak unit. Now I have to say that I like that the Zoombak unit can be pinged by my cell phone. But if it can't be seen, then what good is that? Bottom line, after one day of testing, the PT-10 is amazing. The ability to play back her movements during the day is awesome. The zone notification feature worked perfectly, sending a text message within seconds of her entering a zone, where Zoombak delays by up to 15 minutes if it even reports at all. Zoombak is cheaper, but you really do get what you pay for with the PT-10. Much, much more to say. Here's the icing on the cake...the staff at LiveviewGPS are really nice and truly go out of their way to help YOU. Shelley, Jamie, George...thanks guys for all your wonderful assistance. A company built on customer service first that just happens to have an amazing product at a very good price. I don't post anonymously, that's my real name. 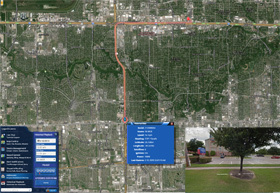 March 4, 2009 by Michael J.
I am a Private Investigator and have used numerous gps tracking devices over the last 10 years. By far the PT-10 is the best performing, lowest priced gps tracker I have ever used! December 17, 2008 by W.C. I have tried other tracking devices sold on "more prominent" websites. After the "entry level" wouldn't budge from the middle of the Pacific Ocean, I was talked into purchasing a more expensive device. Billed as 15 seconds, in reality it was 3-5 minutes behind. And "pinned" spots on the map where the vehicle had never even been! Searched more and found LiveViewGPS - 100% satisfied! Does exactly what they said it would- from day one! Out of the box, up and tracking in 6 hours! Zone and speed alerts are very precise. And the salesman knows the product like he could have built it. Technicians, not college students answer the phone at tracking support and solve your problem WITHOUT talking to their girlfriends on the other line. Historical playback "pink trail" very easy to follow- "breadcrumbs" are for the birds! The PT10 is the device to buy, you can spend more and get less! November 13, 2008 by Darryl G.
I wanted to let you know this gps device is unbelievable! I was amazed when I watched it move across my computer screen. I have purchased other gps tracking device from other companies, that did not work. You PT10 has worked flawlessly, thank you. 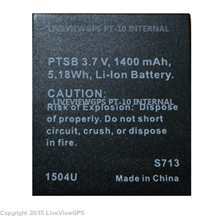 September 2, 2008 by LiveViewGPS Inc.
We reviewed the PT-10 under numerous conditions, it performed exceptionally well. The device was placed inside the trunk of a vehicle, and tracked with amazing accuracy. This is a new product that will be available for shipping on Monday, September 8, 2008. 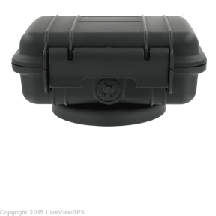 Have A Question About "Proven The Best GPS Tracker: The LiveViewGPS Live Trac PT-10" ?